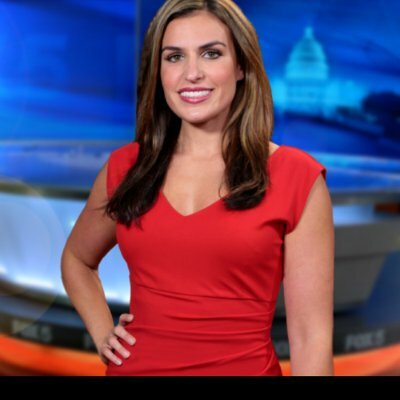 I am thrilled to join the FOX 5 News Morning and Good Day DC team as a traffic anchor and reporter. My personality is filled with energy and enthusiasm, and I enjoy helping people wake up in the morning and hit the road with a smile. Hi everyone! My name is Erin Como, and I grew up in Bucks County, Pennsylvania. After graduating from Temple University with a double major in Broadcast Journalism and English, I got my start in news at WCAU-TV in Philadelphia as a planning/assignment editor and traffic reporter. I also had the pleasure of hosting a seasonal travel show for Philly.Com, highlighting all the summer fun in South Jersey from food to outdoor adventure. My most recent stop was Nashville, Tennessee, where I was the morning traffic anchor and reporter for Fox17 This Morning. I also hosted the travel series, ‘Road Trippin’, exploring all the hottest vacation destinations around the Mid-State including the best restaurants, hotels, activities, and spas (tough job)! Aside from my passion for news and travel, I love dedicating time to charity organizations. I most recently served as a spokesperson raising awareness for Autism Speaks and supported St. Jude by participating as a fundraiser and runner in the Music City Half Marathon the past three years. I consider myself blessed to call the nation’s capital home, and I can’t wait to explore everything this amazing city has to offer. In my spare time, I love trying new restaurants, attending hot yoga class, hiking, and curling up on my couch with a good book.